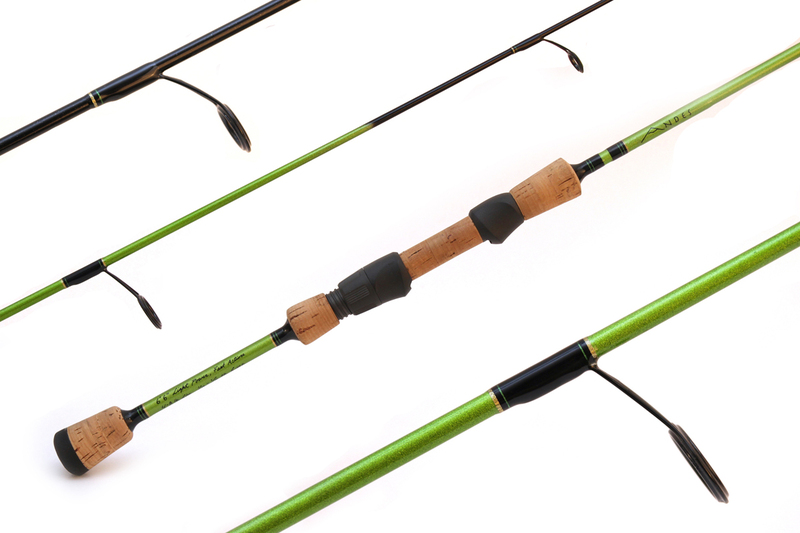 This custom Andes graphite light spinning rod features a smooth shaped rubber but cap, modern split rear cork handle, Fuji graphite reels seat with cork insert, Fuji Alconite ring “Concept” spinning guides, and two-tone metallic green and black painted rod blank. Guide sizes and spacings were determined specifically for a Shimano 1000 series or similar size spinning reel (An identical rod can be made and tuned to fit the reel of your choice). This rod is light and comfortable in hand, and the perfect weight and action for casting small lures for trout and small salmon in the 0.5 to 2 Kilogram range. 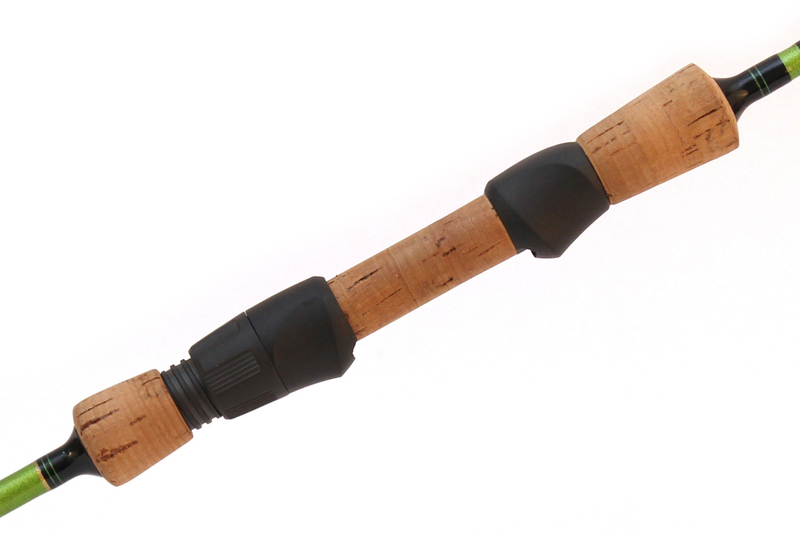 This rod is specifically for light tackle angling. This rod is also protected under Rodmakers of Chile’s Limited Lifetime Warranty. 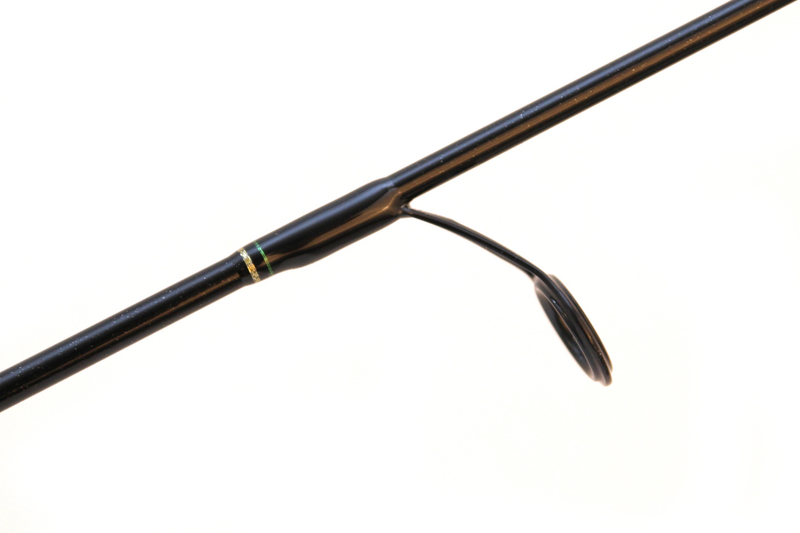 1) A smooth continuous curve and uninterrupted hoop strength through the length of the rod blank when under a load, this also means greater strength to weight ratio. 2) Greater sensitivity- subtle vibrations don’t have to pass from section to section through a ferrule joint but transfer directly down the length of the rod to your hand. 3) Slightly lighter weight without the reinforcement of “spigot” or “tip over” ferrules, which includes are composed of additional graphite, thread, and epoxy. 4) Line guides are always in perfect alignment and no time is ever spent eyeballing multiple sections to accomplish the same perfect guide train. 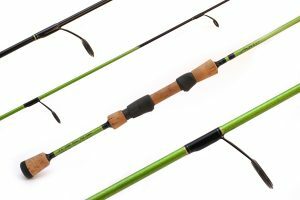 5) Rod sections do not become loose or separated while fishing. 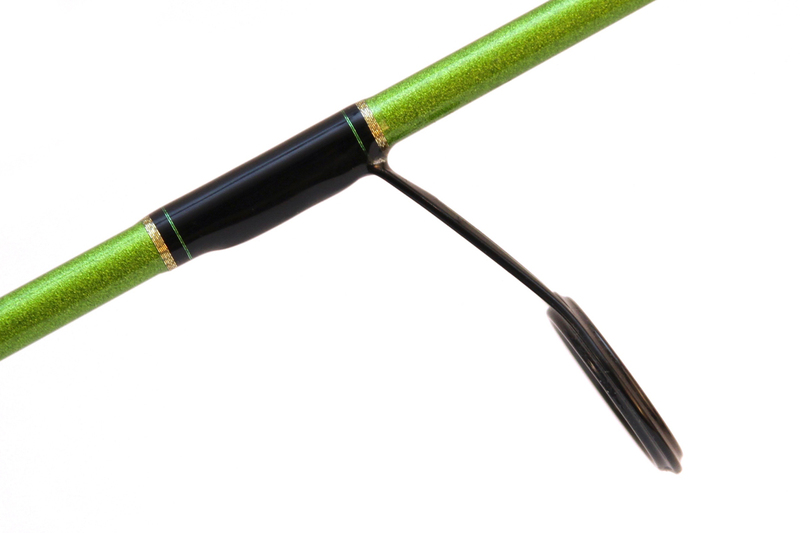 Loose connections mean breaking the ferrule when rod is under a load or embarrassingly casting off the tip section. 1) Transportation is restricted to fitting the rod where it remains straight, at full length. This could mean greater chances of breaking if precautions are not taken- like procuring a protective tube.